Краткое описание: The player assumes the role of a spy who infiltrates a building filled with elevators. He must collect secret documents from the building and traverse the 30 levels of the building using an increasingly complex series of elevators. The player is pursued by enemy agents who appear from behind closed doors. The player must outwit them via force or evasion. Successful completion of a level involves collecting all the secret documents and traversing the building from top to bottom. In the lower floors of the building, the elevator systems are so complex that some puzzle-solving skills are needed. 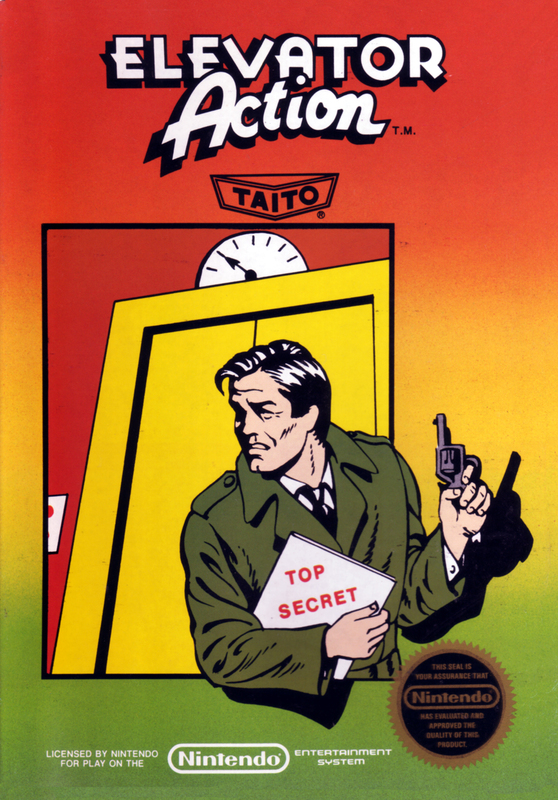 The player assumes the role of a spy who infiltrates a building filled with elevators. He must collect secret documents from the building and traverse the 30 levels of the building using an increasingly complex series of elevators. 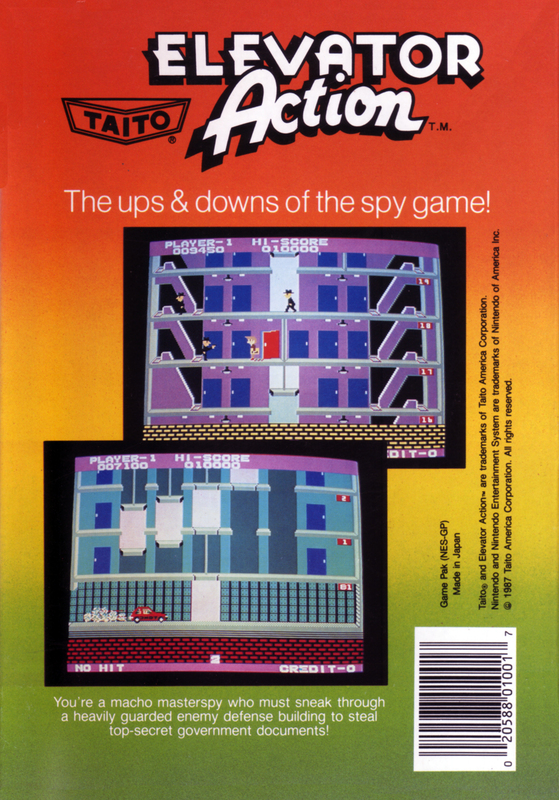 The player is pursued by enemy agents who appear from behind closed doors. The player must outwit them via force or evasion. Successful completion of a level involves collecting all the secret documents and traversing the building from top to bottom. In the lower floors of the building, the elevator systems are so complex that some puzzle-solving skills are needed.